Push everything in your closet over to one side. Why are you doing this? Because you're going to wear ONLY 8 items this week, that's it. You won't need all those extra clothes (most of them are not worn on a regular basis, anyways). You are about to discover an amazing transformation process that will change the way you think about your clothes and your wardrobe-forever! This week: it's a life-changing wardrobe challenge. Join me in creating your own 8 piece capsule wardrobe--just like the one you'll see from me in this week's Personal Profile. Save money. Truth...you do NOT need a lot of clothes to be stylish. This week I prove it. Just a few quality pieces means you can make nearly endless outfits-proving don't have to an extensive wardrobe; just the right pieces you can wear different ways. I'll show you how to mix and match them. You've heard of a "12 Piece Wardrobe Challenge" before....well, this week I'm doing a spin on that, I chose only eight (8) items from my closet. But didn't just make eight outfits -- I made as many as I could. There are over a dozen outfits, but even more are possible, and I'll show you how as we go through each outfit (posted this Thursday in your Personal Profile style membership). For my eight pieces, I chose three tops, one skirt, two pairs of pants, one v-neck sweater, and one jacket. Most of you probably have similar items to these in your own closet. Be prepared to be amazed...and challenged. After all, the fun begins when we reach beyond our comfort zone! Challenge yourself, change the way you get dressed! 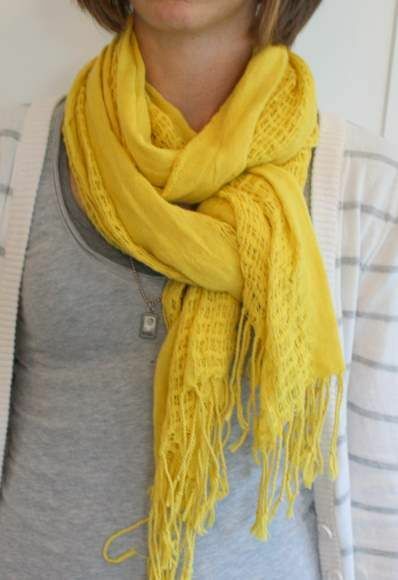 A scarf is a wonderful way to "Show Your Style" SYSter. and while you're at it; pin on a pretty brooch too! 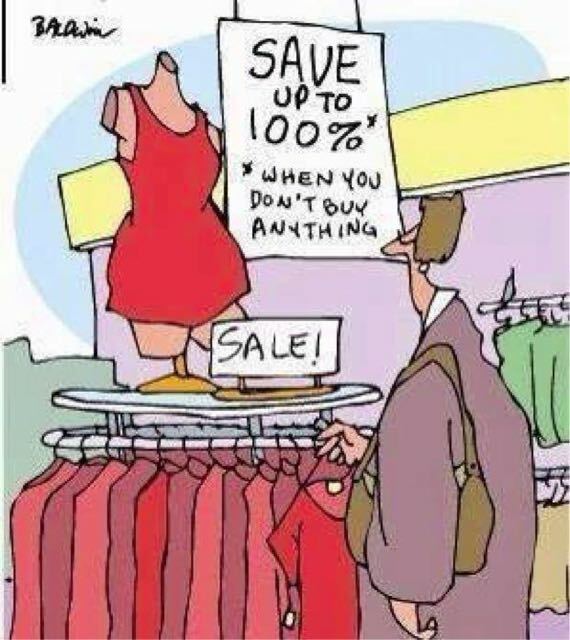 Looking to SAVE BIG on your wardrobe? How about wanting to look more stylish? Aren't we all? The real key to a truly stylish wardrobe is learning what you need, then working within that core wardrobe...creatively. A MSP Personal Profile can help you get your wardrobe in order. When I started with my Personal Profile System, Leslie, I started shopping smarter. I was encouraged rather than discouraged when I went shopping because you taught me how to shop for ME. I used to be sooooo discouraged when I shopped and just couldn't find anything to the point of crying, but no longer. I know what to look for and that I don't need to settle. My mindset changed so that I started looking at the shopping experience in a different way and I realize that if I go shopping and don't find anything it's because I'm not settling for baggy, unflattering styles anymore; I'm taking my time to find what fits my body correctly, that fits my personality, and that fits my budget. Which means that I'll leave behind anything that doesn't qualify with my standards, which you've raised for me. AND now I have more money to keep searching for what I love. I basically saved money by waiting and if designers don't get it ... then they don't my money. MSP HERE: Not settling. That's it. That's true style! You've evolved, and so has your style...what a wonderful feeling to love the skin you're in! Hugs to you. I finally did IT (slowly and with pain). I've gotten rid of all the clothes that don't fit, colors (now that I know my best colors) that don't work and also--the clothes that look cheaply made. The result? It is sooo much easier to get dressed in the morning! Just about everything coordinates with everything else. I used to have this weird habit where I wouldn't wear my favorite things to "save them". Now, I only have my favorite things, so it feels like I'm spoiling myself every day. I just joined your service yesterday. Since then, I have been pouring over the information on the website. I am ecstatic at finally figuring out how to shop and what to buy for myself! I am like many women who don't shop because I didn't know what to buy. I was looking at the shopping guides today, deciding what shirts would be appropriate for me, and in which color! I was able to decide for or against clothing because of the style and color. This is so amazing to me! I am currently a stay-at-home Mom who recently became Music Director at my church. Other than the obvious, dressing up for Sunday services, there are rehearsals and a semi-casual service during the week! I used to wear t-shirts and baggy jeans to these casual gatherings, and last night, I had on a very simple outfit that made me look really put-together--how I've been wanting to look, but not knowing HOW without being super-dressed up! Yesterday, when I went to the wholesale discount club (Costco) where they sell clothing laid out on tables, I was able to purchase 2 basic items for my wardrobe that look great in both fit/style and color (and were quite a deal). I was also able to put back 2 sweaters because they were too bulky and didn't emphasize my waist. I had the right color, but not the right style. All of this to say thank you MSP! I had given up on being able to find flattering clothing and played the "hit-or-miss" game every time I went shopping or even got dressed! I can't believe the difference in the clothes from my own closet since receiving my personal profile newsletters. It has been so amazing to go to my own closet and find "new" clothes. I've altered the way that I put outfits together and what a difference it has made! Twice this week I was asked if I had lost weight and that I looked nice! I was wearing the same clothes that have been hanging in my closet but instead of trying to hide behind them I gave Missus Smarty Pants a try and followed her advice (I'm a B). I even feel like I've lost 10 pounds just by making these simple changes. Thank you, thank you for this "aha" moment and showing me how. I look forward to many more profile newsletters full of tips and guidance!